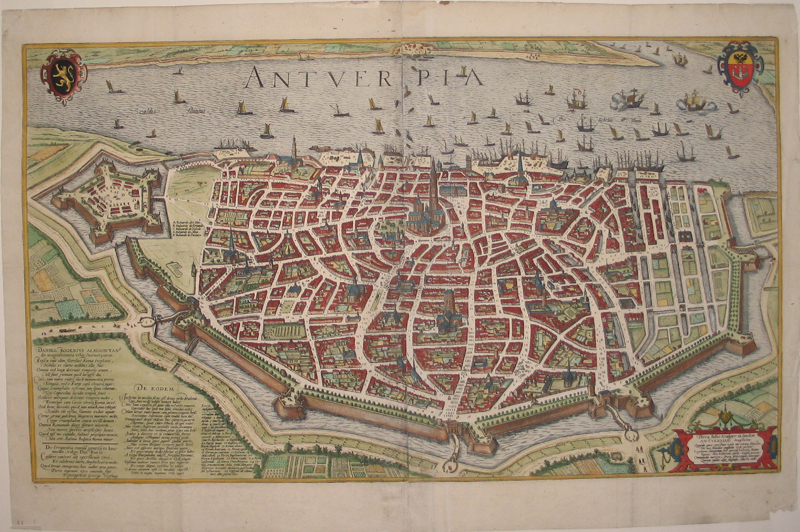 Beautiful large map of the city of Antwerp by Georg Hoefnagel (1542 - 1600). 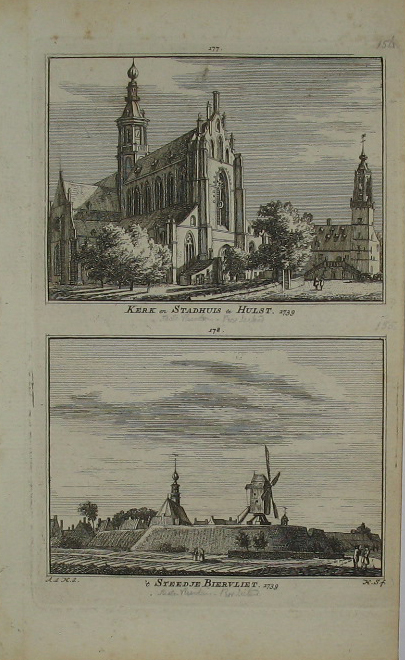 From Caspar Gevaerts 'Pompa introitus' which was published in 1641-42. Top corners crests of Antwerp and Vlaanderen. In the bottom right corner a poem by Julius Scaliger. Julius Caesar Scaliger or Giulio Cesare della Scala (April 23, 1484 – October 21, 1558), was an Italian scholar and physician spending a large part of his career in France. He employed the techniques and discoveries of Renaissance humanism to defend Aristotelianism against the new learning. In spite of his arrogant and contentious disposition, his contemporary reputation was high, judging him so distinguished by his learning and talents that, according to Jacques August de Thou, none of the ancients could be placed above him, and the age in which he lived could not show his equal. [ref. Wikipedia] Verso blank.